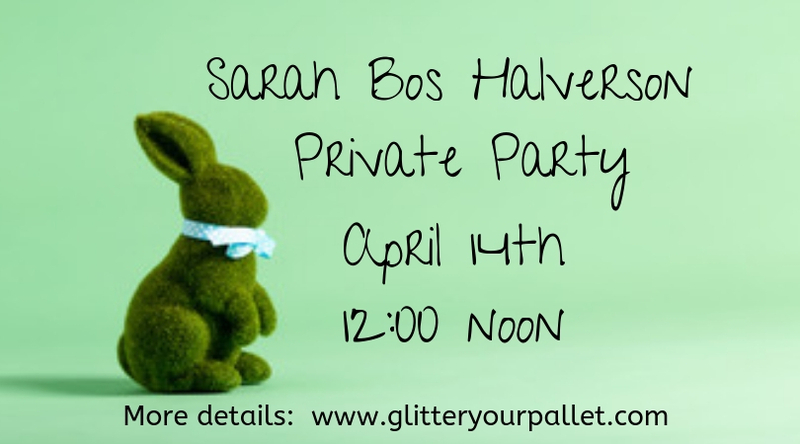 Sarah Halverson welcomes Glitter Your Pallet and friends for an afternoon of painting decor pallet boards This will take place on Sunday April 14th @ 12:00 noon. $45.00 per person includes, supplies, step by step guidance and subtle accents of glitter! The BOARD SIZE is 24″x 14″ and come pre-painted / stained / distressed. Sorry no credit cards or checks accepted. Cash payment only. HOSTESS: Please make sure your guests arrive earlier than the painting workshop begins. In order to keep this to a 3 hour class, everyone should have their appetizers, drinks, boards and designs ready to go and be seated by 12:15pm. The instructor uses her time wisely and expects that of the participants as well.